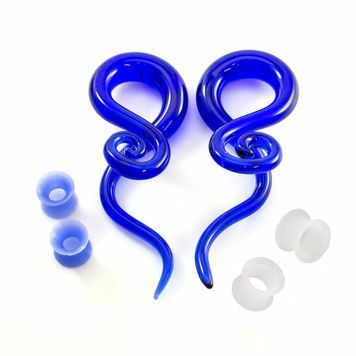 With this pack you will get two soft silicone tunnels one blue and one clear, and a pair of blue glass twister spiral tapers. Amazing quality jewelry perfect to use in all occasions . Available in two different sizes.